It’s a save 15 years in the making, but the Davis Building in Brazil (Clay County) is finally paying dividends. Successful building rehabilitations can sometimes feel like a giant jigsaw puzzle. When the right owner, tools, resources, and timing come together, a project can bring new life to the surrounding area. That’s been the case for the Davis Building in the Clay County city of Brazil. 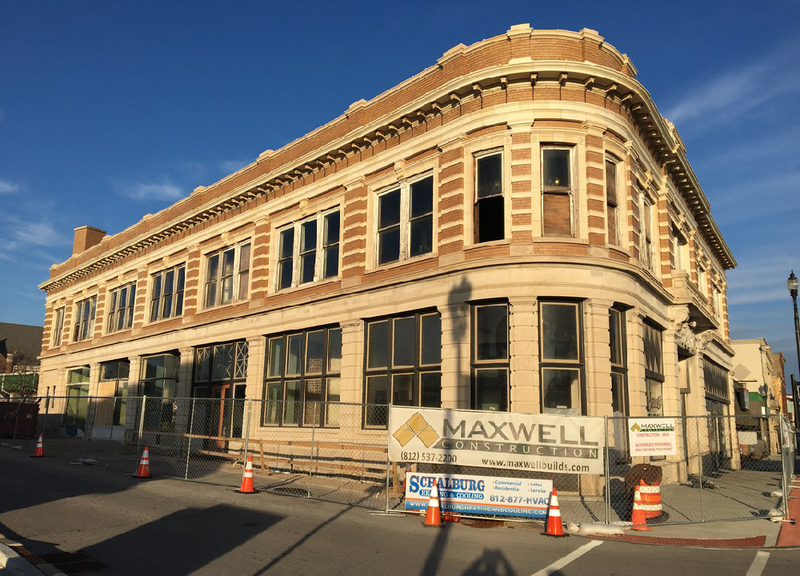 After more than 15 years, the last pieces are finally falling into place to transform the building into a mixed-use development that will help spur further economic development in the community. Built in 1909 by D.H. Davis as the Davis Trust Company, the Davis building occupies the prominent corner of Meridian Street and U.S. 40 (the Historic National Road) in downtown Brazil. After the bank closed, the building went through a number of uses – a five and dime, a storage facility, and a flea market. 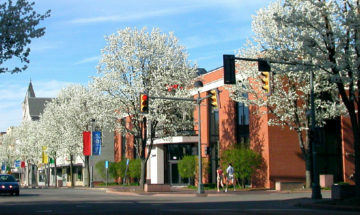 Indiana Landmarks received the former bank building in 2003 from the trust of a family member of D.H. Davis himself. We installed a new roof, funded by a grant from the Efroymson Family Fund of the Central Indiana Community Foundation, removed ten dumpsters’ worth of trash, and repaired a collapsed sidewalk in front of the building before marketing the place for sale. We finally found the right match in Lee Stakes, who bought the Davis Building in 2010. 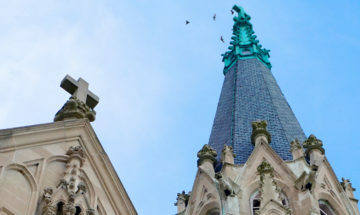 An experienced preservation tradesperson, Stakes took on the landmark as a labor of love. She renovated the building’s second floor as apartments before beginning restoration on the main level. 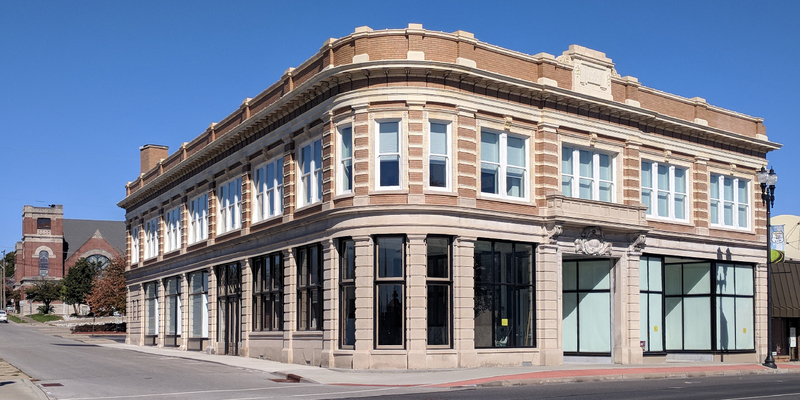 In 2016, New Hope Services, a southern Indiana non-profit developer experienced with adaptive use projects, took the building to the next level. The group bought the Davis Building and the former Junior High School just a few blocks northeast in the Meridian-Forest Historic District with plans to convert both into affordable housing for seniors. The project, called Davis Zeller Place, includes 36 apartments in the historic buildings plus 12 newly constructed units, with room for commercial space on the first floor of the Davis Building. Working with Maxwell Construction of Greendale, New Hope restored the exterior of each building. 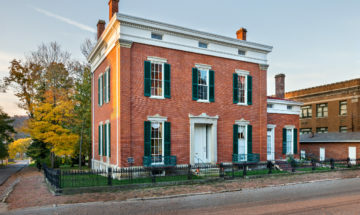 Because the project is using federal historic rehabilitation and state rental housing tax credits, the work is overseen by the state Division of Historic Preservation and Archaeology. Indiana Landmarks has a covenant on the Davis Building, requiring our approval on all exterior work there. Residents have already begun moving into apartments at both buildings.For more information about Davis Zeller Place, contact New Hope Services at 812-288-8248 or visit www.newhopeservices.org.